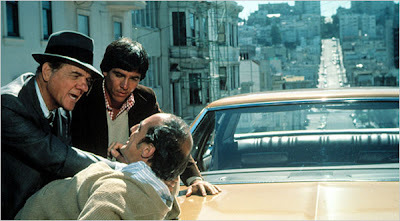 "Karl Malden, left, and his partner, played by Richard Hatch, gathered information in 'The Streets of San Francisco.'" Wasn't Malden's partner Michael Douglas? marlon brando a contender? somebody? To Anonymous #1: Michael Douglas bailed out on the show and was replaced by Hatch before its final year. Why are they beating up Bob Newhart?